It's Easter, again. There are several things I like about Easter - It's a time when Spring usually kicks into higher gear, and when beverage manufacturers release their Easter specials. I'm not too keen on beer, but I like the those with addition of extra hop and malt, plus caramel - Easter brew, as they call it. Easter is also when you usually get some time off. This year I have invested some of that time into playing newly acquired Xbox version of Red Ninja - at the same time I played a bit of Tenchu, so that I can draw a more accurate parallel between the titles when I get around to reviewing the first one, and to remind me how good Tenchu actually is. 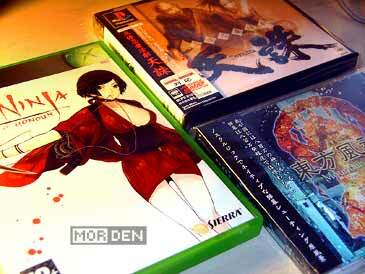 I've also been playing some 東方風神録　～ Mountain of Faith, plus the newly released 東方星蓮船　～ Undefined Fantastic Object demo. You can never get enough of Zun's danmaku on the lunatic setting. I guess it's back to Easter beer and Påskmust for me. 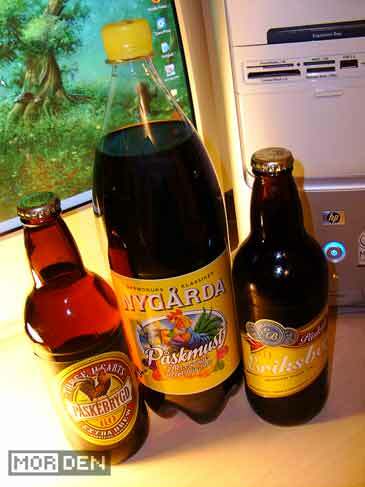 In case you have no idea what Påskmust is, it's a Cola-style non-alcoholic soft drink, with a very specific taste achieved by the addition of malt and hop extracts, much like in Easter brews. This beverage is sold almost exclusively in Sweden and Norway and it's traditionally consumed around Christmas [The name changes to Julmust then, for marketing purposes, of course] amd Easter - and it's pretty damn tasty. Every Christmas, Julmust manages to outsell Coca-Cola and Coke sales drop by 50% and more - yes, that's how tasty it is, and it's available only during these two holidays, which makes you want it even more. 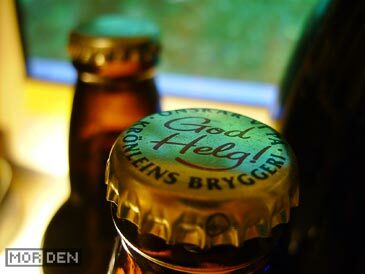 Ok, now I really need some, so I'm off - The bottle cap says "Happy holidays!". Cheers. 2009.04.12 Sun Random and ♥Hate♥ Comment Tweet This!